Item is made from Gray Quartz crystal beads. Gray quartz is a very protective and grounding stone. It brings physical and psychic protection. It is also an excellent stone for protection from negative energy, as It removes negativity and negative energy of any kind and transforms them to positive energy. Gray Quartz was known as a Stone of Power. Introducing Fit Selection’s new jewelry piece – Triple plate dumbbell bracelet with grade “A” Gray Quartz beads. With a dumbbell pendant and beautiful crystals, this bracelet is a perfect token as fitness lifestyle motivation and a good luck charm. 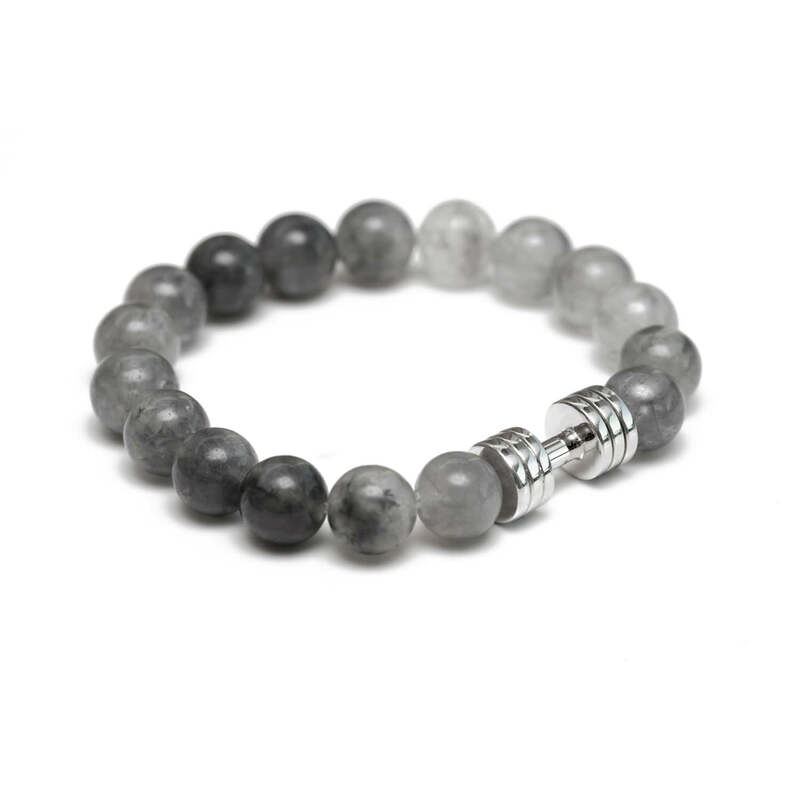 Item is made of natural high-quality Gray Quartz crystal beads and Rhodium plated dumbbell. 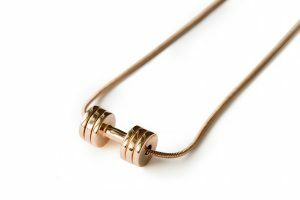 Each bracelet is handmade by our team, wherein we put two rows of strong elastic cord through the beads to ensure longevity. Hold Gray Quartz to relieve tension and stress, anxiety, or panic attacks; also to ward off negative thinking, and to eliminate worry and doubt when faced with chaos or confusion. By daily wearing Gray Quartz enhances survival instincts, and for assists in reaching personal and business goals, as well as manifesting dreams and ideas into reality. This crystal promotes rational, pragmatic thought processes and improves calculation and organization. It increases focus and may be used in group situations to alleviate communication difficulties and foster a spirit of cooperation. 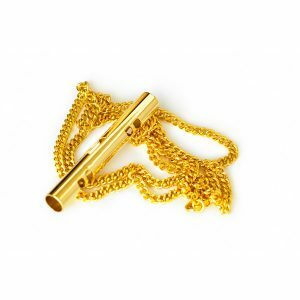 This bracelet is great in assisting in making wishes come true by grounding their essence in reality. Thus, it is a stone that brings abundance, prosperity, and good luck. 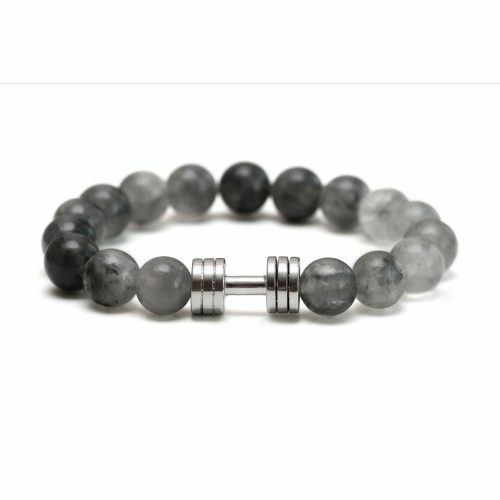 Meditate and visualize your wishes and Gray Quartz bracelet will bring you closer to achievement. The bracelet comes presented in a black Fit Selection box, making it an ideal motivational gift for your favorite spotter or a nice treat for yourself.